In signature New England Patriots fashion, a nerve-wracking, gut-wrenching birth into Super Bowl LIII was earned on Sunday, January 20. Their triumphant defeat of the Kansas City Chiefs marked their third consecutive American Football Conference (AFC) championship. An overtime victory kept fans holding their breath for the entirety of the second half. We are living during a time of a New England Patriots dynasty and the Super Bowl is theirs for the taking. They will face the Los Angeles Rams on February 3, 2019 in Atlanta, Georgia at the Mercedes-Benz Stadium. Despite starting the season with a 2-1 record, the Patriots were able to turn things around and dominate the regular season ending the year with an 11-5 record, blowing the rest of the AFC East out of the water. 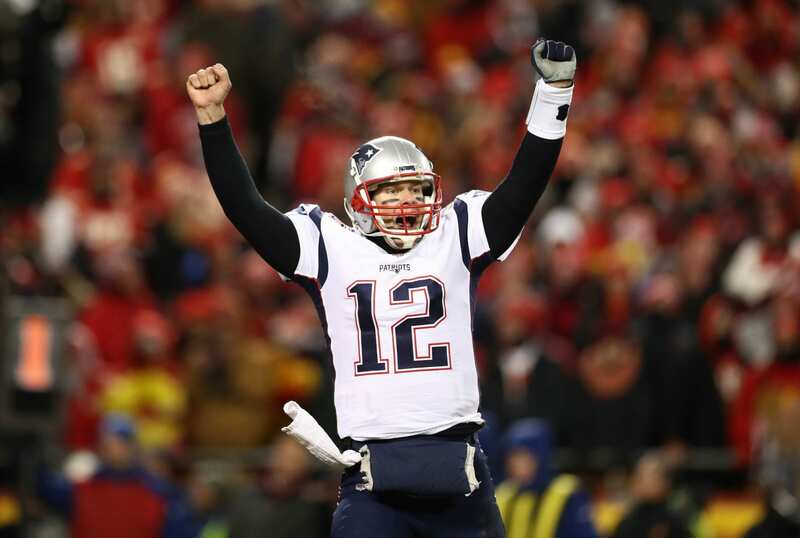 There is no doubt that much of this success can be attributed to the managerial leadership of head coach Bill Belichick and the on-field leadership of quarterback Tom Brady. Together they have built a legacy racking up five Super Bowl wins and eight Super Bowl berths. Their accolades alone, three Coach of the Year awards and four Super Bowl MVP awards, respectively, speak for themselves. This dynamic duo separates the Patriots from every other team in the National Football League (NFL). The tenacity of Patriots’ tight end Rob Gronkowski will contribute greatly to a Patriots win on Feb. 3. Gronkowski’s ability to assume a unique role on the team game to game is especially key. He is able to channel his brute force and strength to serve as a blocker in one play and then showcase his athleticism and hands catching anything Brady throws his way. Gronkowski was an incredibly valuable player in the Patriot’s victory against the Chiefs. Recorded by Kevin Patra, writer for the NFL, Brady commends Gronkowski for “[catching] the fade on Eric (Berry) and then [catching] the slant (NFL).” With the Lombardi Trophy up for the taking, there is no doubt that Gronkowski will perform in February. The list of athletes on the Patriots that contribute significantly to their success is not short. Wide receiver Julian Edelman was an essential component to their victory over the Chiefs; however, the leadership from rookie Sony Michel proved the Patriots talent runs deep. Michel executed a 10-yard rush for a touchdown and his five postseason rushing touchdowns has distinguished him in the rookie class. After defying the odds and persevering through overtime against the Chiefs, the Patriots will be victorious come Super Bowl Sunday.